that you think you want..
who need it much more than you could ever possibly know"
got it in ur head? 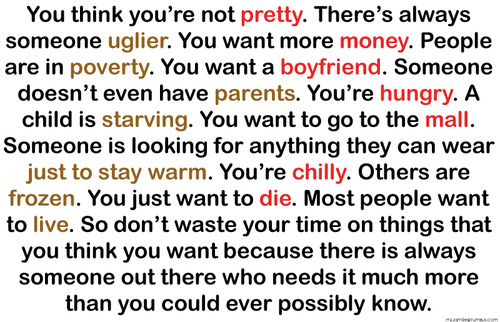 we always feel unsatisfied with ourself, dont you? I als0 belong to this gr0up! much more than you could ever possibly know"